A deal that includes bottomless drinks is how the Observation Deck at CEB Tower in Rosslyn is trying to draw in folks for a rivalry game between George Mason University and George Washington University. The Observation Deck at CEB Tower in Rosslyn, Virginia, wants to fill its 31st floor perch with George Mason University and George Washington University fans for the March 9 Revolutionary Rivalry basketball game, and it’s dangling bottomless drinks to do it. Its Rosslyn Metro location is a three-point shot away from the Charles E. Smith Center on the George Washington University campus (or at least a brisk walk across the Key Bridge into Arlington from D.C.). For $35, you can get admission to the Deck, bottomless mimosas, rosé wine and Virginia craft beers to wash down an all-you-can-eat brunch buffet. Teetotaler and on a diet? Skip the drinks and brunch and get in for $18. George Mason and George Washington students can get in for $10, minus food and drink. 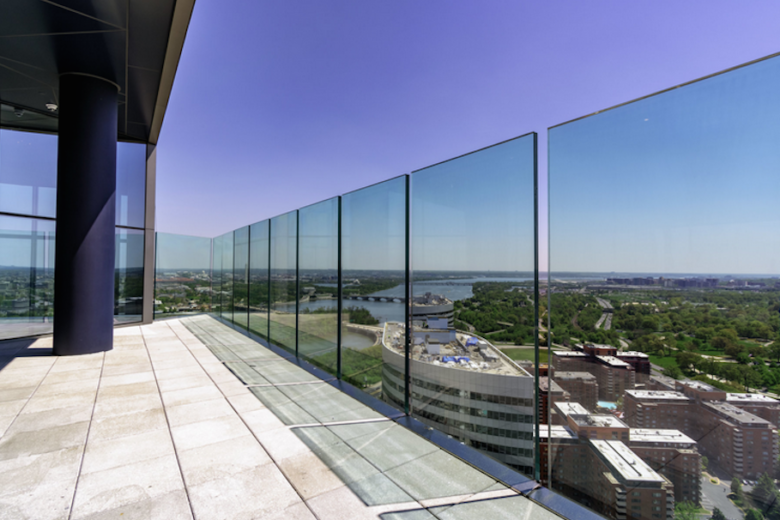 The Observation Deck, which opened in June, has 12,000 square feet of observation space and an open-air terrace with arguably among the best, 360-degree views in D.C. It is operated by Legends, the same company that runs the One World Observatory at the World Trade Center in New York and OUE Skyspace in Los Angeles. CEB Tower is the tallest building inside the Capital Beltway, aside from the Washington Monument. Tickets of the Tailgate in the Sky party from 10 a.m. to 2 p.m. March 9 are available online.